Shirdi Sai Baba Devotee Amit Bosmia From India says: Sai...Sai to all the devotees. Thanks to everyone associated with Mahaparayan and giving it a larger than life shape. Special thanks to Shashank Srihari for enrolling me for the same. I am Amit Bosmia from Mp-136 group. This experience is a continuation of the Mahaparayan experience shared earlier. In my previous post I had mentioned that how Baba skilfully arranged a new construction house for us while the Mahaparayan was going on. To be very true I as a person never ever imagined that I would be buying a home in my entire life as my initial years in business were not upto the mark. As my parents are old and have knee problems I had a wish of having a good house with all the basic amenities. But a wish is just a wish until Baba blesses the same and when He blesses who can interfere in the same. As mentioned in the last post that we bought a new house with an initial down payment. The matter was how to clear the balance amount. We sold all our investments still a huge amount was pending and decided to take a home loan. In the meanwhile a commercial property in my mother’s name was decided to be sold as it was a joint property. Everything was amicably settled and we got a good amount which was used for the said purpose. Still some amount had been taken from the bank but I pray to Baba to bless me so that the same gets paid to bank in the near future. Today 26/7/2018 Baba's day i.e. Thursday and tomorrow being Guru Pournima and that too Baba's favourite no - 9 we have got the house registered in my name. Today as a devotee/bhakt/disciple or by whatever name we call ourselves to Baba; on this auspicious day we should be giving Him goodies but instead He bestowed me with a dream fulfilled which was just next to impossible for me. Sincere pranams to You Deva for blessing Your son in such a humongous manner which would never be repaid in this life. My wish is to have a beautiful idol of our beloved Baba and Hanuman Dada in our living room. Bless me for the same Baba. Grace me with Your power so that can repay the loan in the desired time. Loads and loads of love to You Baba. Baba’s treasury is full and in a second He can give anything to anyone provided He sees that they are qualified to receive the same. 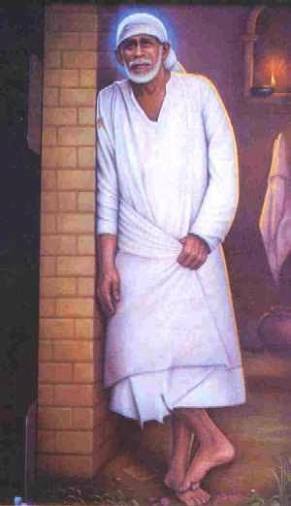 Oh Deva You even give Your devotees sometimes some things which are never in their fate just as You have given me too so many things which I feel must have never been in my fate...! Ever indebted to You! Love You Deva. Jai Jai Ho Sai.